I have been inducted into the Furnace Creek Hall of Fame. I feat that took five years. Five Consecutive Solos and one Fixed Gear in 2007. This year it’s time to just take a ride down memory lane. I will enjoy my time on the bike and take in the sights and sounds of the greatest Ultra Cycling race I know!! 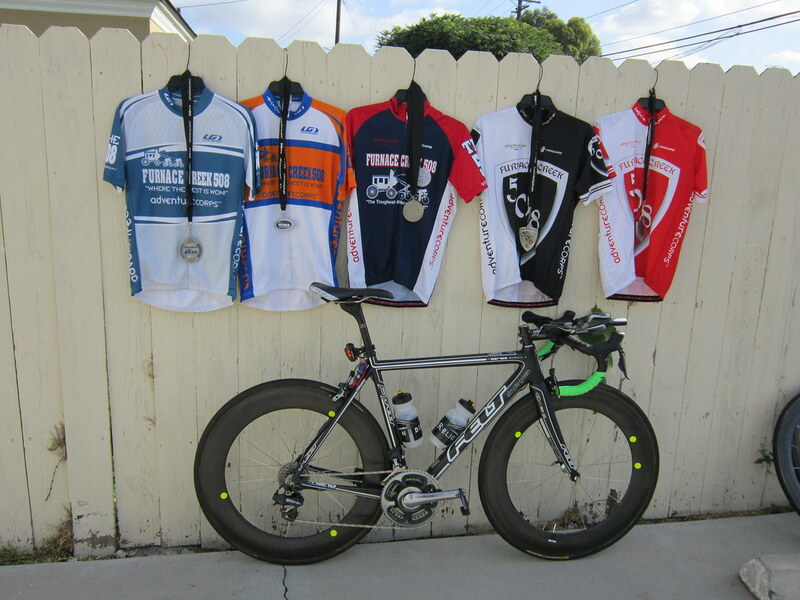 And I leave you with this…we race 508 miles over 10 mountain passes for a cumulative gain of 35,000 feet through the Mojave and Death Valley Deserts for a jersey and a medal. Ok that’s the tangible thing but the intangibles of finding out what you are made of are priceless! my Spot GPS transmitter here I will turn it one about 6am on 10/8/11 and you should be able to follow me on the race course. This entry was posted in 2011 Furnace Creek 508 by REV Cycling Directeur Sportif. Bookmark the permalink. HEY BROTHER!!! I KNOW YOU ARE GETTING AFTER IT……KEEP IT ROLLING MAN!! !